Sleep is incredibly important to our well-being. It is the time we heal from illness or injury, the opportunity to re-charge our brain and re-build muscle after a workout – it is critical to our health and well-being. 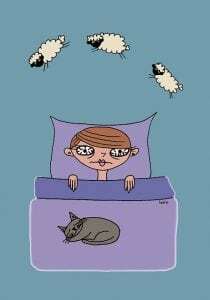 Insomnia is defined as a persistent problem falling and staying asleep. Insomnia is often related to physical conditions like hyperthyroidism, peri-menopause and low back pain, or a state of stress like anxiety. If you suffer from chronic insomnia, it’s important to address the underlying reason instead of treating the symptom. If, however, you have an occasional problem with sleeplessness, sleep water may be a solution for you. Sleep water is water infused with naturally occurring brain chemicals that are known sleep aids – melatonin, GABA, a chemical that reduces excitability of nerves, and 5 HTP, a chemical that produces serotonin. The ingredients in sleep water are all naturally occurring chemicals in the body, but that may not make it a good choice for everyone. While the product itself doesn’t come with any specific side effects, the ingredients in sleep water come with side effects. At this time no significant clinical research has been done to test the effectiveness of sleep water. If you are considering using a sleep water, you should know about the potential side effects. GABA is a naturally occurring brain chemical that regulates many of the depressive and sedative actions and is critical for relaxation. GABA should not be taken if you are taking anti-depressants. Potential side effects of 5-HTP include heartburn, stomach pain, nausea, vomiting, diarrhea, drowsiness, sexual problems, and muscle problems. 5-HTP is possibly unsafe when taken by mouth in large doses. 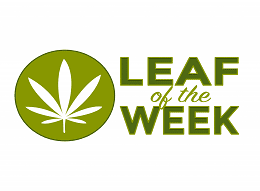 Doses from 6-10 grams daily have been linked to severe stomach problems and muscle spasms. Melatonin is possibly safe when taken by mouth appropriately, long-term. Melatonin can cause some side effects including headache, short-term feelings of depression, daytime sleepiness, dizziness, stomach cramps, and irritability. As with any health concern, it is always a good idea to consult with a medical professional before trying products like sleep water. For more information about sleep water and other natural sleep aids, visit WebMD.com.